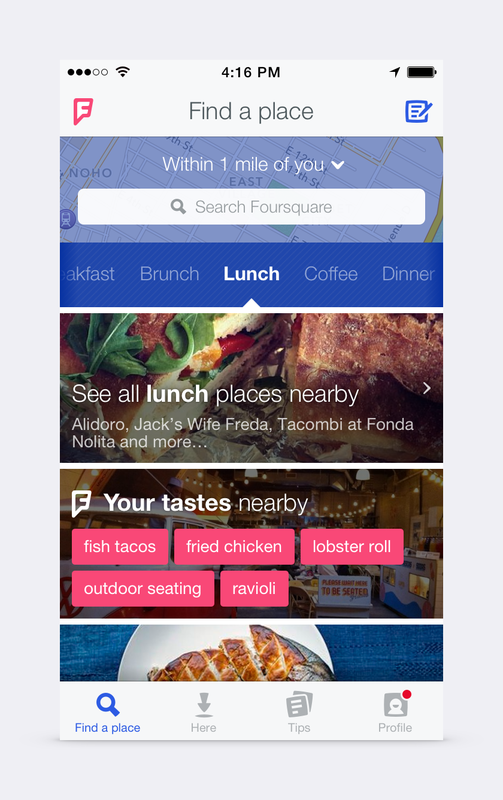 Checking in with Foursquare is about to become a whole lot more personal, for better or worse. Foursquare is finally delivering what it promised in May, migrating check-ins to Swarm and revamping the Foursquare app with recommendation-powered search. Swarm, if you will recall, is the app that shows you where your Foursquare friends are. It’s meant to facilitate social sharing and meetups, which the company said the Foursquare app was impeding. If you already use Foursquare, there’s no need to sign up for Swarm – accounts are unified. 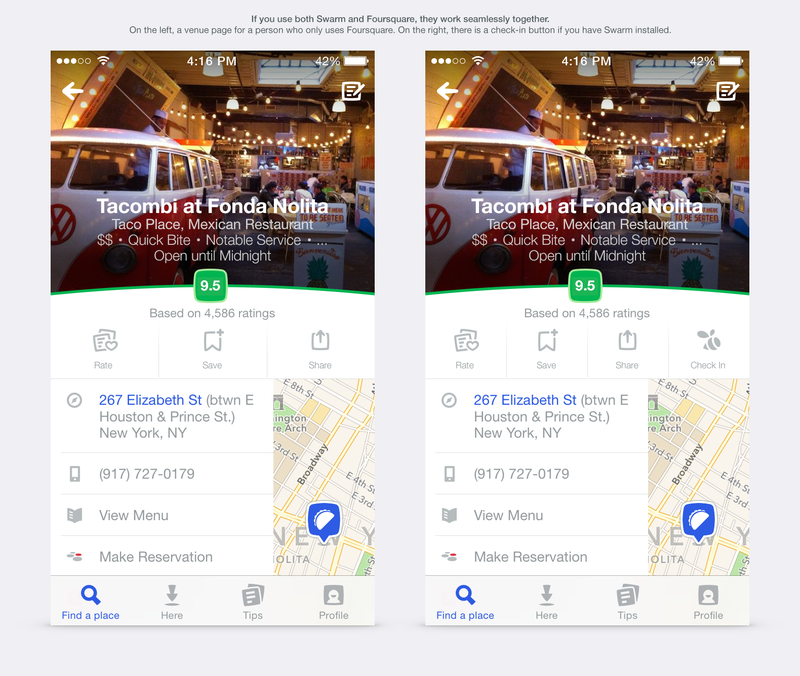 More intriguing is the newly redesigned Foursquare, which in the company’s words, is a “personalized local search” engine. In addition to seamlessly integrating Swarm, the app will leverage manually entered preferences plus past check-ins and history to serve you recommendations for places nearby. Lastly, Foursquare is getting a new logo, for which the inspiration was “a mix of map pin and superhero emblem.” Expect it to debut with the new app.